Intertidally cultured oyster from Duxbury Bay, not far from the Pilgrims’ landing spot. One of my favorites, briny and creamy. Sign up now to post your rating, or login here. Welcome! 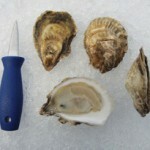 Learn about oysters and coastal restoration. Eat fresh shipped oysters. lemphunter on Oyster BahGreat oysters...MUST stop when in the Windy City! 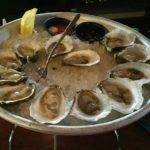 Real Oyster Cult 20% Off! Who Has Had Croatian Oysters?